As you know Urban Decay Vice Lipstick ($17) (0.11 oz) will be launching in 100 shades with 20 Sephora exclusive shades on June 5th for a whooping total of 120 lipsticks. This solves the mystery about why all of the original Urban Decay Revolution Lipstick formulas are now on sale for $11. This is obviously a very, very exciting release for both lipstick and Urban Decay fans alike. For the Vice Lipstick launch, Urban Decay tapped Ruby Rose as the face for the launch. This is the second time, Gwen Stefani being the first, that the brand has teamed up with a celebrity face. This is one of the biggest launches in history for the brand. I mean, think about it, 120 shades of lipstick! That’s crazy! And of course, since it is UD, there are plenty of bold bright shades as well as new shades and even cult favorites that making a return! The lipsticks are formulated with Aloe vera, jojoba, avocado and abassu oils to soften lips and Illipe butter (derived from Malaysian illipe trees) to provide long-lasting moisture as well as Vitamin C and vitamin E. What is it they say? Go big or go home! UD went big for this launch! The biggest change here though is the packaging as Urban Decay has done away with the heavier, gunmetal barrels they used for the Revolution Lipstick range and replaced it with a lighter barrel with gunmetal and gold accents. This packaging is reminiscent of the Urban Decay Gwen Stefani Lipsticks as well as the Alice Through the Looking Glass Lipsticks. This packaging change could make or break your relationship with the Urban Decay Vice Lipstick Collection. On one hand the new packaging makes things a heck of a lot cheaper as the Vice Lipstick line is $17 and holds 0.11 oz of product where as the Revolution Lipstick line were $22 and 0.09 oz in size. So, in reality you were paying a lot more for the packaging and also getting less product. But if you’re a packaging junkie you might not necessarily appreciate the newer, lighter packaging which is essentially plastic. I love I’m getting more for less but I’m not in love with the newer packaging. I don’t mind the plastic nor the lightness of the barrels at all! I do, however, dislike the mismatch of shades they went with. The barrel is a gunmetal where as the bottom portion is gold. It just doesn’t quite go well together for me and isn’t as slick or as edge-y as Urban Decay has gone with their packaging in the past. None the less, love or hate the new packaging you have to agree that 120 shades and a cheaper price tag with more lipstick is pretty darn awesome. But there’s more than the packaging and price change, also the formula and finishes have changed as we are getting six finishes with this release that include Mega Matte (a super intense matte), Comfort Matte (a creamy matte), Cream (the original creamy formula), Metallized (cream with a pearl finish), Sheer (a sheer, shiny finish), and Sheer Shimmer (a transparent finish with pearl). I got a chance to try out 10 of Wende Zomnir’s top picks from the Vice Lipstick Collection. It’s a pretty well rounded selection of shades and finishes so I got a good idea of what to expect from the formula. I haven’t tried out all 120 shades personally but hopefully these ten will help give you an idea of what to expect when they launch in June. I think I’d be honestly overwhelmed if I did get 120 shades to review. I kind of feel like I missed a bullet there! My dry lips would be crying after a review of that caliber! Hopefully these ten appease some of your curiosity about the collection. I’m breaking the review down into finishes but I did not unfortunately, try the Sheer or the Sheer Shimmer finish. The first formula/finish I’ll discuss is the Comfort Matte. Comfort Matte is the creamiest matte out of the matte finishes offered. The three shades I tried were Backtalk, Disturbed, and Menace. All three had a thin, creamy consistencies that hugged lips in full opaque color on a single swipe. The colors are all intense, incredibly long wearing at six hours and some shades (Backtalk and Disturbed) did leave a slight stain as they faded. The color didn’t adhere to my drier lips nor did they sink into may natural lines or accentuate flakier areas on my lips. They did provide a smooth finish without migrating or feathering. I did experience a little dragging during the initial application but it actually wears away quickly and the lipstick applies with a much more smoother, creamier glide. I wouldn’t say this formula was particularly hydrating but I didn’t feel like it was uncomfortable dry or tight either. I noticed no flavor or fragrance in any of the shades I tried out of the entire ten. Now, Comfort Matte could never win any awards with me for finish of the year as I’m not a matte fan. But it is a formula you’ll find easy to wear without it drying out lips or looking dry. It reminds me on some levels of Urban Decay Matte Revolution Lipstick but I thought it was a bit thicker and a little less creamy in comparison. Mega Matte is a very intense matte with a long, strong wear of six to seven hours. It’s the finish I dislike the most. I originally tried the Mega Matte finish when Urban Decay collaborated with Gwen Stefani. 714 is a shade you’ll recognize from that launch. At the time Urban Decay said Mega Matte was a finish and formula that would “lay down a lot of color in one coat”. There’s no doubt that both the Mega Matte shades I tried had excellent pigmentation but I really dislike the way these drag across my lips during application. I find I have to go over color a few times to get a smooth, even finish due to that draggy application. It’s not the most forgivable texture in the world for drier lips so I do recommend a primer or lip balm of sorts to get an easier glide. This formula also tends to dry my lips out. It wears extra long but the longer it wears the tighter and drier my lips become. I tried three of the Cream finishes which is actual the original Revolution Lipstick formula. For those concerned about a possible formula change I’d say the Creams aren’t quite what I know of Revolution Lipstick. The three shades I tried all had a variety of formulas for me so I don’t think they are spot on for the original Revolution consistency, texture, and formula. This isn’t a bad thing though so fear not! I think one of the shades that stood out the most for me was Firebird which had a thin formula with excellent pigmentation and a slightly glossy finish on lips. This formula was lightly hydrating with an easy, slick glide across my lips. It wore for about 5 hours and left a bright stain behind after wearing away. Naked is much like the original Revolution Lipstick formula and also like the long gone Urban Decay Lipsticks from 2008. These have a creamy consistency with an easy glide across lips and a intense pigmentation on a single swipe. I think both Naked and Rock Steady were a little thinner from what I’ve seen from the original line and Revolution. I think they are actually more pigmented, if possible, than any other lipsticks UD has produced in the past. Big Bang and Conspiracy are the two Metallized shades I tried. These actually have inconsistencies in finish as Big Bang seems like it would fit more into the Sheer Shimmer range since this color had a good deal of chunky shimmery that stuck around lips well after color wore away. Conspiracy had more of a metallic finish I’d expect. Big Bang had a smooth, easy glide across lips as did Conspiracy but Conspiracy had a thicker formula where as Big Bang had a thinner one. Big Bang applied sheer with more shimmer where as Conspiracy had better color pay off. Like any collection that features over 120 shades you’re going to find some major hits in the Urban Decay Vice Lipstick Collection. And of course, you’ll experience some misses in both formula, finish, and color. But the good news is you have over 120 different shades, finishes, and formulas to try out and play with so you know they’ll be at the very, very, very least one color you’ll fall in love with! But I’m doubtful it will only be one! Thus far, Urban Decay Vice Lipstick is proving to have so-so packaging, a great price, fantastic variety, excellent wear, and in most cases awesome pigmentation and a formula that varies from shade to shade and finish to finish. It’s a line of lipsticks very much worth exploring! I’m happy to see Urban Decay offering up so much variety! Of course, it’s going to make things damn hard deciding on just one shade but hey, that’s the life of a makeup junkie right? Urban Decay Vice Lipstick will be available June 5th at urbandecay.com, Sephora.com, Macys.com, and Ulta.com. The two-toned lipstick tubes are meant to look like bullets. I liked the Revolution packaging better. Hi Muse! I’m loving the first look already. Do the lipsticks retract fully into the tube or do they stick out? So the new cases are a throwback to the original UD lipsticks-they were bullet casing-styled. These new ones are supposed to resemble shotgun shells. That’s why the base is gold & “mismatched”. That’s what I thought too! The original ones had an oxidized silver cap and a gold base, and the shape itself was quite retro, like the old 50s-60s lipstick cases. I just hope they bring back Gash into regular rotation. Ha! 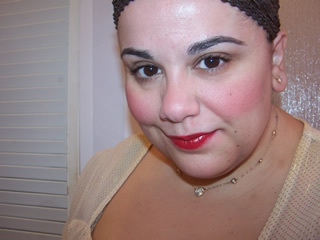 I HAVE the 2008 lippies still and they are FAB! I did, however, get stopped by TSA for having one in my makeup bag that I forgot and it showed up on xray so that was the last time I carried them… Thankfully, the only new Vice I want to see is Nighthawk. I have enough Revolutions to last a lifetime! I meant the original UD lipsticks from 1996-1997ish. I still have Gash from back then. I have Gash from 2008 with the sword! I can’t wait for these! Some of those sparking ones are calling my name! Great swatches love! I like mismatched metals. And I’m so glad for the return of the bullet shape! Kind of regretting I bought the two shades I wanted for $11. I am sure I’ll eventually buy one or two, but no shade is making me want to buy it launch day, possibly because I have too many lipsticks already, or because while there are a few unique shades, it’s hard to identify while looking through so many. Great review and swatches, Muse, thanks! I’m so hyped for this launch, I’ve already written a want list then split it into tiers – “Must Have On Release Day!! !”, “Must Have At Some Point!”, and “Must Investigate” 😀 Big Bang and Conspiracy happen to be in the former tier so I’m really glad to see those reviewed here. I’m loving a lot of the Metallized and Sheer Shimmer shades, I’ve started a new job with a flexible dress code so I’m wearing all manner of colours and finishes to the office. But I will miss the Revolution packaging, even though I’m glad to be getting more product. hey Kay! I made that list too haha 😀 Congrats on your new job and yeah for a flexible dress code! Being comfortable at work is always a plus as far as I’m concerned! I’ll miss the packaging too! But I’m loving I get more for less! I obviously haven’t tried any of these new lipsticks, but I got one of the Alice in Wonderland lipsticks in Iracebeth, which is a Comfort Matte, and I have to say I love the formula! It is indeed a comfortable matte. I’m excited to try more shades in the same finish. Why do you always pose the EXACT same in all your photos? It’s a little disconcerting. Hi Chantel. Sorry to hear you find the photos unsettling. I try to be as consistent as possible with my review photos so I keep things simple, the same, and to the point. And I’m sure you know how your camera is set, how the light will fall, etc. Not your first rodeo, and bottom line: It’s YOUR blog. Don’t like it? Don’t read it. I for one, appreciate the consistency. Thanks for your hard work, Isabella! Hi Rina, yeah basically! It’s a little hard because I don’t have a lot of natural light in my house so getting good lighting is a chore 🙂 Aw thank you very much! I really appreciate that! Some people, don’t get the hard work that goes into producing a post! xoxoxoxox! Eeeek!!!! I’m in big trouble, I like waaaaay too many of these! No worries! I just can’t imagine anything but <3 for you here! aw thanks Rina xoxoxo! I get a few trolls from time to time but honestly, 99% of the people that visit are lovely just like you! I just bought my first UD Vice lipstick (which I love!) and want to know if there is something I’m missing to open and pull out the tube? It’s VERY difficult to do and made me think there was some kind of push lever I was missing. I have to yank pretty hard to pull the tube out. Help! there no push lever, you just twist them up. I am wondering if you are familiar with Clinique’s Butter Shine lipsticks and if you think any of these would be a good substitute as they appear to have discontinued the entire line. I like a lipstick that is creamy and moist with no taste or smell. pure talent. LOL just kidding! I haven’t a clue. I take crappy photos so, I always look like a duck or like I’m smirking! 😀 xoxoxoxo! My pleasure dear!